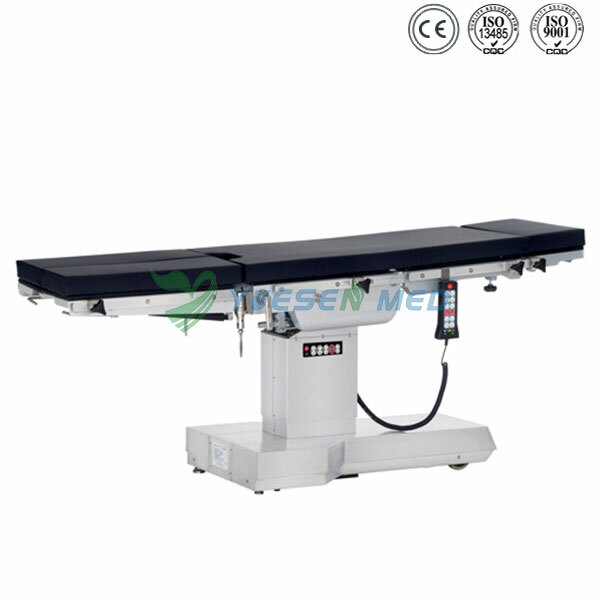 YSOT-D3 electric operating table is a cost-effective, multi-performance mobile operating table that meets the requirements of different surgeons. Electro-hydraulic mode of operation is adopted. Two control modes (hand-held remote controller and panel) are available to control various movements. MCU processing is used. Self-locking function is provided to avoid false triggering. Quality stainless steel 304 is used for table support, base plate, column shield and rails on both sides of the table, easy for cleaning and sterilization. Console supports the use of cast aluminum parts, never rust. The mattress is wrapped with imported artificial leather. High-density memory sponge is formed in one piece, with no seam. Imported carbon steel plate is used for the table top, which is convenient for X-ray photography. AC and DC can use at the same time. 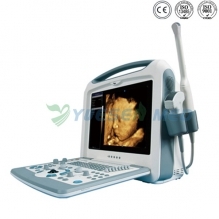 It has the function of auto-restoration. 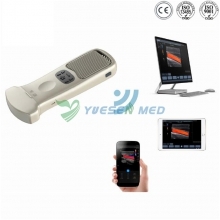 Electric braking device, convenient for shifting the operating table. A pair of shoulder support frame, a pair of waist support frame, a pair of arm resting frame, a pair of leg support frame, a screen frame, a pair of pedal foot board, a waistband.